Anderson Coconut Indoor\Outdoor fabric. 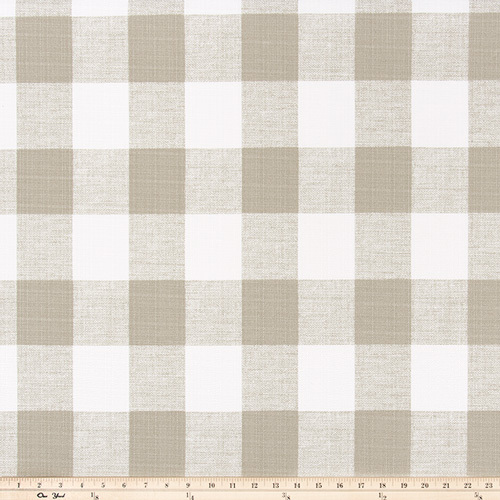 Tan and white large gingham buffalo check printed indoor\outdoor decorating fabric. Suitable for light upholstery, drapery, headboards, decorative pillow covers, crafting or other home decorating projects.